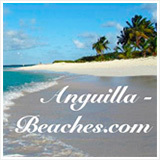 Anguilla is aimed at the high end traveller. The resorts are 5-star expensive. The tourist restaurants are as gourmet as any that you will find in Manhattan... and as expensive. So naturally, my Dad thought that Anguilla real estate would be impossibly pricey! Wrong! 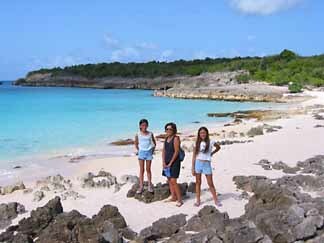 Unlike well-known Caribbean islands, Anguilla is still relatively undiscovered. Anguilla went through a boom period during 2005-2008 but the recession has brought prices back down. It is a buyer's market! Before my dad read A Trip to the Beach, he thought "Anguilla" was "Angola" spelled wrong! And it is still unknown compared to the other Caribbean islands. Anguilla offers breathtaking oceanfront and oceanview property for a fraction of the price that you would pay on "discovered" Caribbean islands. Sandy waterfront cannot be owned by foreigners. Anguillians Only! Long-time Caribbean home-owners will tell you, though, that "sand is great for vacations, not so great when you own." Step inside what has been our home for almost 8 years. Be central. It's useful to be only a minute or two from the Valley and equally distant from both ends of the island. Be breezy. Higher locations (away from the beach but with magnificent vistas) or beachfront on the southern shore (especially the eastern half of the island) provide excellent tradewinds. Many areas are "heat sinks" shielded from the trades. But when you find a breezy locale, it can be brutally hot, but you'll be comfortable at home without turning on the A/C. Many people prefer "non-sandy" locales when they own. Why? Lower maintenance cost. Tradewinds + sand = sandblasting = maintenance and cleaning expenses (salt erodes and it gets everywhere). 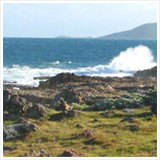 If you like the idea of sandy beachfront, try to buy a rocky oceanfront lot that borders on a sandy beach. They are rare, though, and do sell at a considerable premium. In today's economy, "asking price" is exactly that. Negotiate. We fell in love with Anguilla and decided to live here. 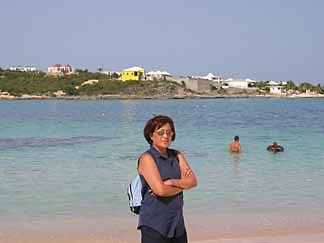 My Dad researched Anguilla real estate in detail (as you'll see below, with some beautiful pictures, too!) His most important tip? Find a great real estate agent -- he loves and highly recommends Jackie Pascher (contact information below). To find your "perfect spot," you will need a highly detailed map showing every dirt road and foot path. Here is the best of all commercially available Anguilla maps. I also created this map of Anguilla using Google Earth. It's even more detailed and divided into sections for easy use. One more thing... as you look at these pictures, I think you'll see why Anguilla's slogan is "Tranquility Wrapped in Blue". Actually, it's more like turquoise. 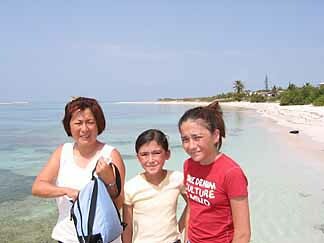 If you explore the island with an eye to owning, even living, here, you see matters differently. Different place resonate in different ways. In the end, the final location on this page won us over. Little Harbor is a small, sheltered bay. The water is so calm and quiet, hardly any waves, so smooth a baby could swim in it. So smooth even my dad could swim it (haha)! A few minutes west are some amazing cliffs with an open view of the roaring sea! 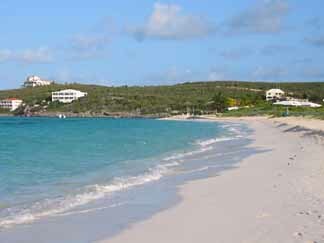 Shoal Bay East is recognized as the most beautiful beach in the Caribbean, some say in the world. The picture below shows the stretch of sand East of the tip, beyond which you can see land, some of which is for sale. Wow! Shoal Bay East... What a place to live! at the end of the beach? It's a long and bumpy road to get to Limestone bay. All the twists and turns, and ups and downs, but it's worth the ride. Look at that shade of turquoise! I remember the days when there was no electricity on Limestone Bay, and you would have needed solar power. 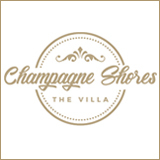 Today, there are two big villas on the shores. 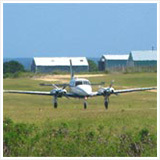 There still may be property available on the beach's Western shores. 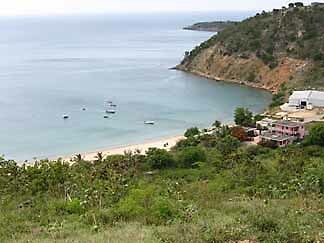 Sea Feather Bay is a more developed community of well-to-do foreigners and Anguillians. Ronald Webster, father of Anguilla, owns a house just to the right of the yellow house. 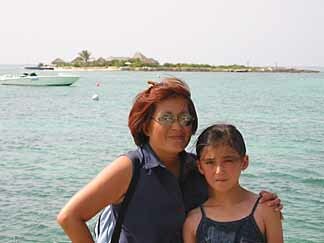 And land is available just to the left -- and the snorkeling (behind my mom) is excellent! to a "high end development"
is building a house nearby! Long Bay's most impressive feature is its wide, white perfect-sandy beach. The sun seems especially intense and water a special shade of turquoise. And, from the hills overlooking the ocean, you have a view of the most perfect little tropical island... Sandy Island. Crocus bay, a cozy little beach, with one of our favorite restaurants for a laid-back beach day or an elegant dinner, DaVida. Anguilla real estate here? Yes, available on the cliff from which we took this photo. cozy little beach, yummy food! Sherrick's Bay is really, really, really, remote! If you can find Sherrick's Bay through the maze of dirt and sand and bumpy roads, congratulations! You have really explored the island! You may have to do some digging at the Lands and Survey office. There must be some Anguilla real estate here, as there is only one villa on the beach. Your Own Perfect Piece Of Anguillian Paradise? "If you don't ask, you'll never get." 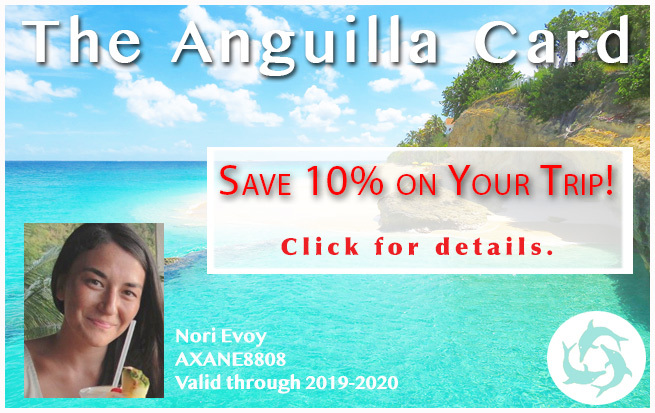 She finds out about great new Anguilla properties that are about to become available and she knows all the ins and outs of Anguilla's laws about foreigners owning land and building. Give her a call and tell her... "Nori's dad referred me." If she doesn't hang up on you right away (ha! ha! Dad), she'll treat you extra-special. 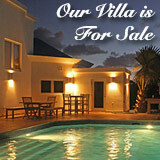 So What Anguilla Real Estate Did We Choose? In the end, none of the above locations met our specific needs. Some were breezeless, others were the "last lot in the area" without much view. And so on. 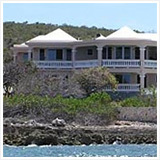 Finally, I guess you could say, our perfect place for a home in Anguilla chose us. 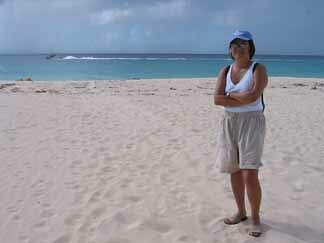 Shortly thereafter, we had bought our own personal bit of Anguilla land. 1) My Dad and I have assembled a round-the-island Anguilla real estate tour. 2) Good news! My Dad found and bought his special prize... land. Click for the whole story. 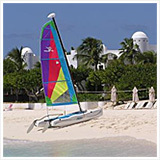 3) Try Anguilla condos if real estate is getting too pricey. NEW 2017: Tranquility Beach Anguilla, luxury Anguilla condos on Meads Bay Beach Ian "Sugar George" Edwards' latest development, Tranquility Beach's first phase will bring 18 modern one and two bedroom residences to Meads Bay, complete with the amenities of an upscale boutique hotel. More on Tranquility Beach. 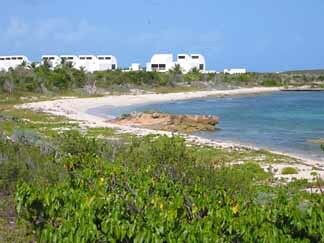 4) Anguilla Land Update 2005... Price of land increases. 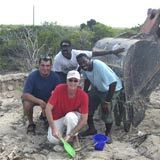 5) Anguilla Land Update 2006... It skyrockets! 6) Anguilla Land Update 2009-2011... Costs drop! 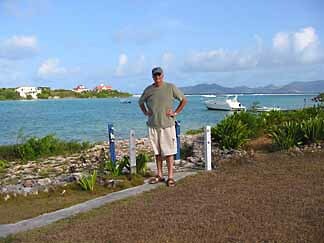 7) Discovering Sotheby's Anguilla International Properties, and the man behind it... a legend, Scott Hauser. 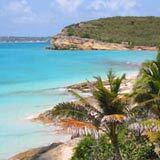 8) RealEstate.ai... Good friend, Vince Cate is taking Anguilla real estate online! 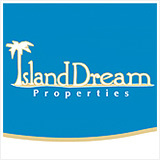 With a new way of doing real estate in Anguilla, his site RealEstate.ai features several listings, including many affordable raw land parcels and modest homes, properties not listed anywhere else online. Update 2017: As of January 1, 2017, purchasing Anguilla real estate is cheaper than ever. Stamp duty and transfer taxes have been lowered to 10% for existing structures and 11.25% for raw land (previously 17.5%).